« Dreaming Malaysia as a Second Home? Photo : Dr Syah, my son-in-law. 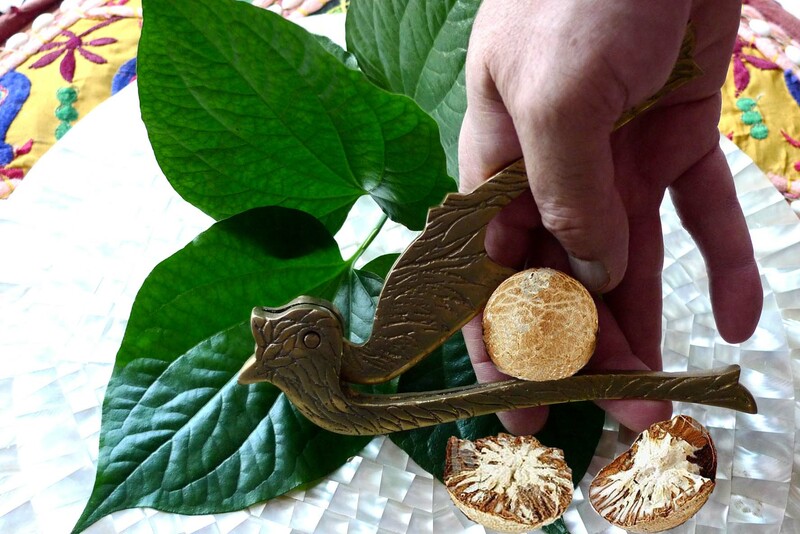 I was just holding Ferrero Rocher as if I was trying to cut the Kun thee (Areca nut). Sorry, Syah was trying his new camera, going to the car service centre and I was also rushing to the clinic. No time to plan thoroughly. UPDATE: Kun Thees put in the photo by Min Min’s creativity. 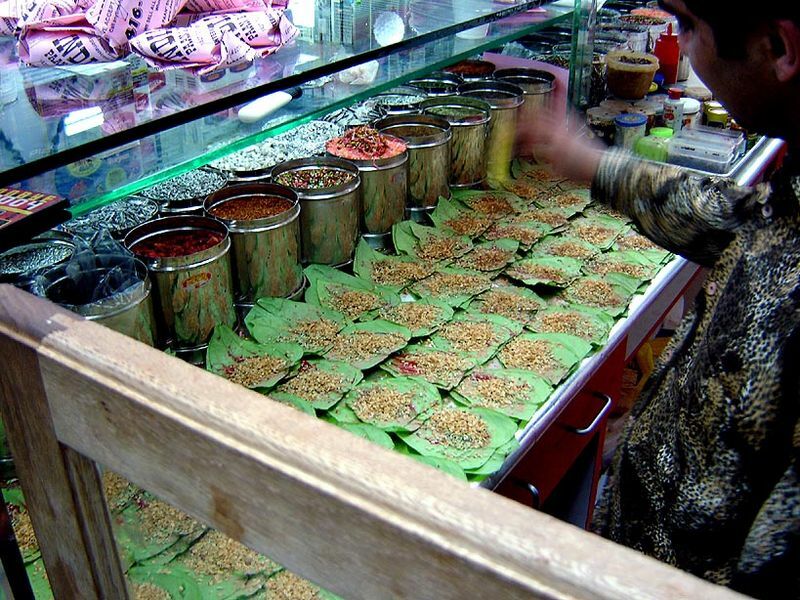 Kun-ya is the word for paan in Myanmar, formerly Burma, and has a very long tradition. 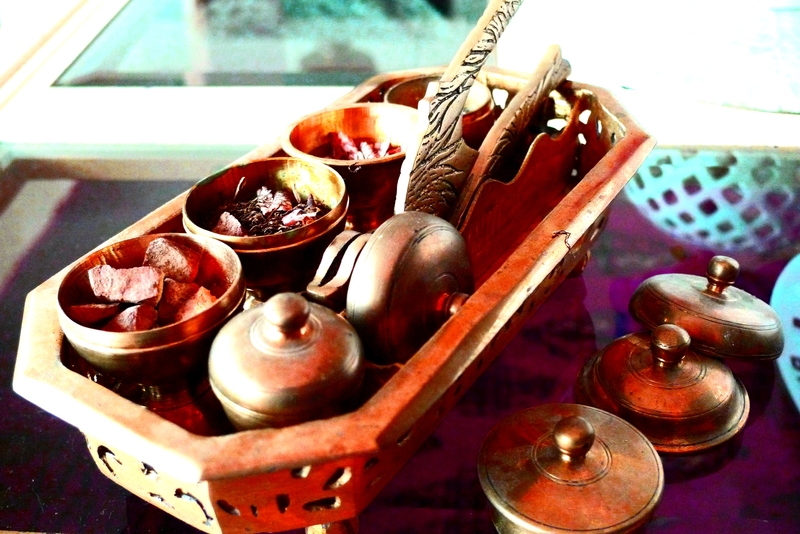 Both men and women loved it and every household, right up to the 1960s, used to have a special lacquerware box for paan called kun-it which would be offered to any visitor together with cheroots to smoke and green tea to drink. 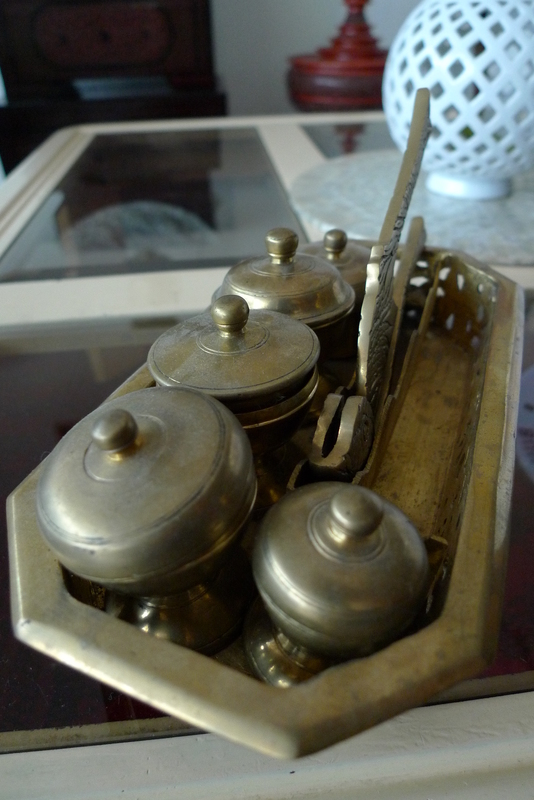 The leaves are kept inside the bottom of the box which looks rather like a small hat box but with a top tray for small tins, silver in well-to-do homes, of various other ingredients such as the betel nuts, slaked lime, cutch, aniseed and a nut cutter. The sweet form (acho) is popular with the young but grownups tend to prefer it with cardamom, cloves and tobacco. Spittoons therefore are still ubiquitous, and signs saying “No paan-spitting” are commonplace as it makes a messy red splodge on floors and walls; many people display betel-stained teeth from the habit. Paan stalls and kiosks used to be run mainly by people of Indian origin in towns and cities. 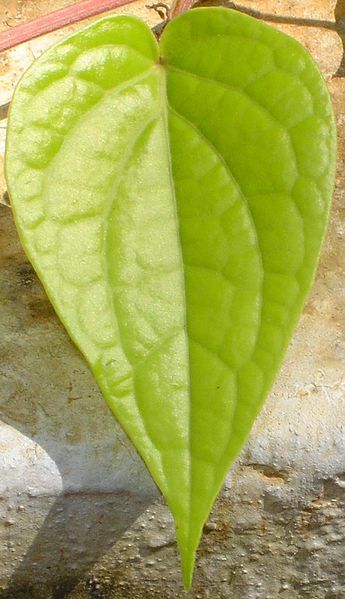 Smokers who want to kick the habit would also use betel nut to wean themselves off tobacco. 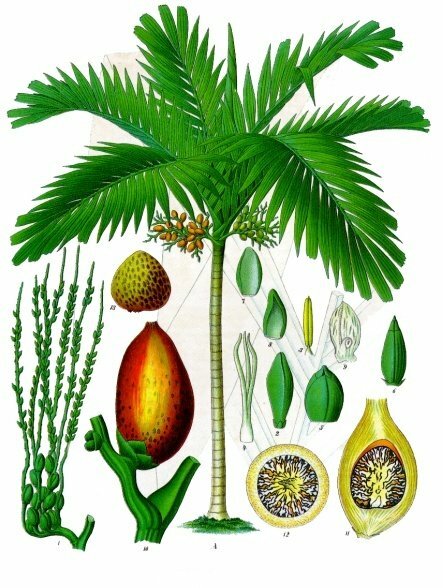 Taungoo in Lower Burma is where the best areca palms are grown indicated by the popular expression “like a betel lover taken to Taungoo“. 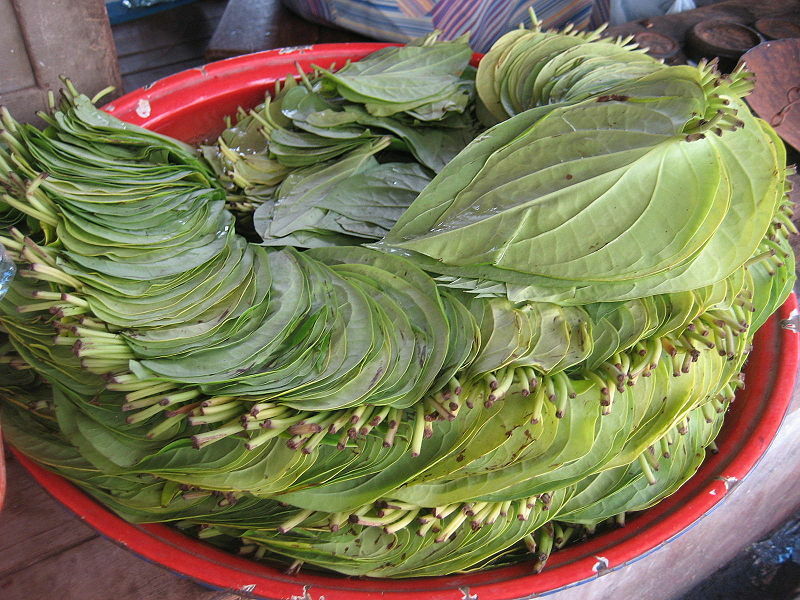 Other parts of the country contribute to the best paan according to another saying “Tada-U for the leaves, Ngamyagyi for the tobacco, Taungoo for the nuts, Sagaing for the slaked lime, Pyay for the cutch”. Kun, hsay, lahpet (paan, tobacco and pickled tea) are deemed essential items to offer monks and elders particularly in the old days. Young maidens traditionally carry ornamental betel boxes on a stand called kundaung and gilded flowers (pandaung) in a shinbyu (novitiation) procession. Burmese history also mentions an ancient custom of a condemned enemy asking for ‘a paan and a drink of water’ before being executed. Four pictures below are taken in my house by Dr. Shyhid, my SIL. This entry was posted on December 8, 2009 at 5:45 am and is filed under Uncategorized. You can follow any responses to this entry through the RSS 2.0 feed. You can leave a response, or trackback from your own site.